Maui is considered to be one of the most beautiful islands in the world. However, like the other islands of Hawai'i, Maui can have quite a few tourists who wish to visit such a beautiful place. Many hotel and resort chains have established a foothold on the island, but if you're looking for an independent hotel, Maui has plenty to go around for the traveler who seeks to spend their money with the locals. Also, just because a hotel is independent, doesn't mean that it can't be top quality. 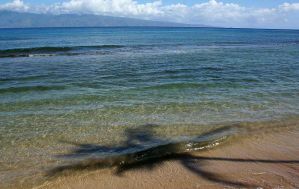 Many of the resorts and hotels on Maui are stunningly beautiful in their own right. Not to mention that these accommodation options can also be affordable, too. Sometimes the locally owned places can offer a better value because they are just as luxurious as chain resorts while keeping to a lower profit margin. The end result is a savings for you and a great vacation in the process. 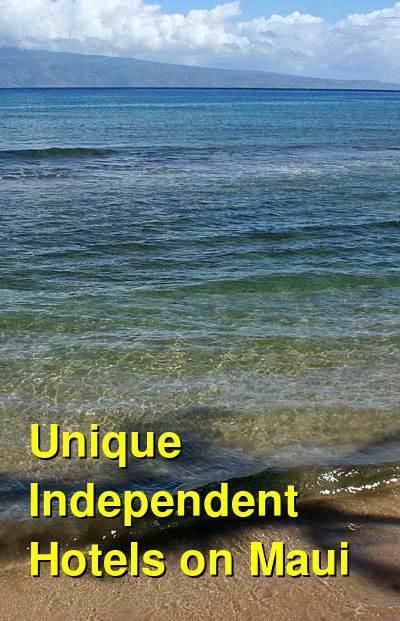 Below are some of Maui's best independent hotels. With an old fashioned and historical style, The Plantation Inn is a unique hotel on Maui that, according to guests, feels more like a bed and breakfast. The building itself has an old, almost southern, architectural style, while the beautiful interior decor provides guests with a comfortable and cozy, yet luxurious experience. Even the classic swimming pool matches the overall theme of the inn. The hotel is just a short walk from the beach as well as shops and restaurants such as the Outlets of Maui, Baldwin Home Museum, and Banyan Tree Park. Not that you'd need to leave, because the on-site restaurant gets rave reviews for its gourmet food. Rooms have balconies, many of which overlook the scenic pool area. Washers and dryers are also included in the rooms, as are the standard hotel amenities such as ironing boards, toiletries, Wi-Fi, etc. The inn is great for couples looking for a romantic getaway and families, too. Just a short walk to the beach and a short drive from Kahului, the Kaiholo Hale hotel offers a great experience for guests. Rooms are condo-style with a bedroom, kitchen, and living space, and all open onto lanais with grills surrounded by lush tropical vegetation. Rooms offer free Wi-Fi, satellite television and DVD players, bathrobes, toiletries, kitchens with stoves and full sized refridgerators, and complementary bottled water. This is essentially your home away from home while you visit Maui. The hotel and rooms are nicely designed in a modern and comfortable decor. Located on the beach, and just a short drive from the Kapalua airport, the Maui Kai offers condo-style rooms with full kitchens, beach views, a pool, and lots of fun. Ideal for visitors of all types, including families, everyone can find something enjoyable here. Rooms are nicely appointed with plenty of amenities such as Wi-Fi, large flat-screen TV with cable, toiletries, full kitchens with stoves and refrigerators, a library, game room and arcade, grills, and free parking. Not only is the Maui Kai on the beach, it is also near stores and restaurants, and allows easy access to the long boardwalk. The expansive Napili Kai Beach Resort covers 10 acres on the beach situated within a lush garden landscape. Just off the beach is a nearby reef ideal for snorkeling and underwater wildlife viewing. Rooms are available in a variety of sizes, including typical hotel style rooms, studios, and suites, and all have balconies (lanais), many with ocean views. Guest will find the suites with kitchenettes to be well appointed. All rooms have Wi-Fi and cable TV with DVD players. This resort literally has everything one could want on a vacation, as it is also offers complementary snorkeling equipment, towels, golf putters for the two 18-hole putting courses, four swimming pools, barbecues with picnic tables, and free coffee, tea, and lemonade daily at mid-morning. The resort also throws a Mai Tai party, garden tours, hula dancers, a children's club, a full spa, and an open-air restaurant with beach front dining and bar. This highly rated and reviewed resort might not be the cheapest option around, but it offers a great deal for the price and is a superb value. On the beach at the less crowded Kehai, and near local nightlife, shopping, and restaurants, this nicely appointed resort also offers a scenic pool, free Wi-Fi, and cable TV, plus other expected resort-style amenities. The condo-style suite rooms offer kitchens with all necessary appliances, plus terrific views of the ocean and beach. Anything that can't be found on site is just a short walk across the street to the nearby mall or other shopping venues. This resort receives many positive reviews, and repeat visitors year after year. Across the street from the beach, this hotel is smaller than most of the larger resorts, yet still offers a nice relaxing atmosphere wit ha beautiful pool and luxurious guest rooms. An on-site cafe offers all meals, and the hotel is located close to more restaurants as well as shopping areas. The hotel also offers a shuttle service for those without a vehicle. Rooms have lanais, compact refrigerators, and free Wi-Fi Internet access. Overall, the Maui Coast Hotel offers a great value and receives many positive reviews. Ideal for families and couples alike.